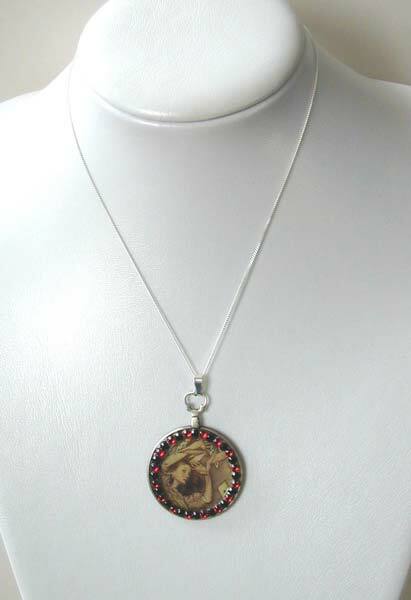 This pendant shows a drawing by the breathtaking illustrator, Arthur Rackham. The picture in this optomotrist lense pendant depicts Alice in a flurry of playing cards.With a new Lewis Caroll film due out soon this is a great gift for anybody who is a fan of Alice's adventures in Wonderland. Adorning this pendant are also black and red swarovski rhinestones and comes with a 16", fine link, sterling silver chain.